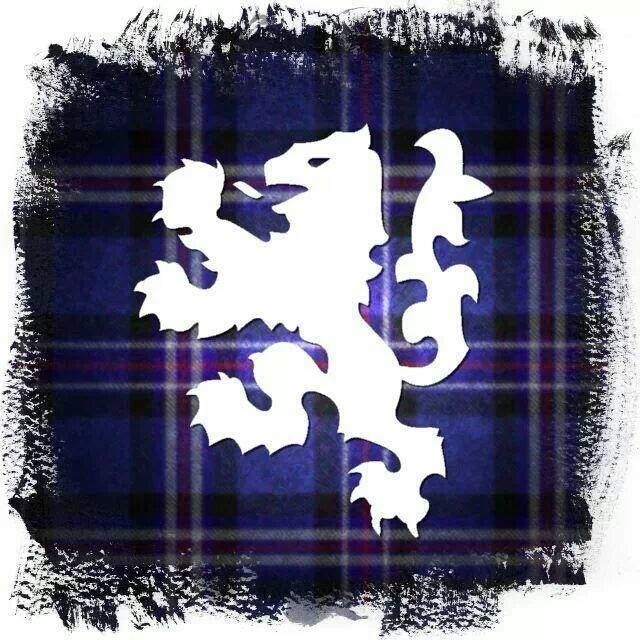 There is no genetically pure or original Scot. 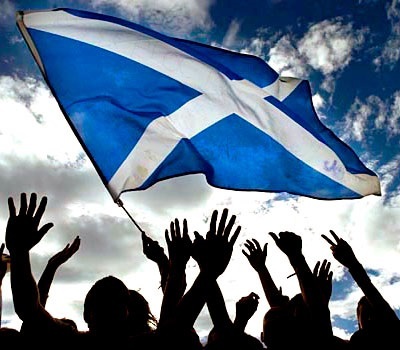 There is no common ancestral or genetic heritage that links the peoples of Scotland. Ancient Scotland was made up of four separate groups: Angles, Britons, Picts and Gaels (or Scoti), who each spoke a different language. Kenneth McAlpin (810–858) was not, as is popularly claimed, the first king of Scotland. What he did was in 842 taking advantage of the Picts who had been severely weakened by Viking raids, and unite the kingdom of the Gaels with that of Pictavia. 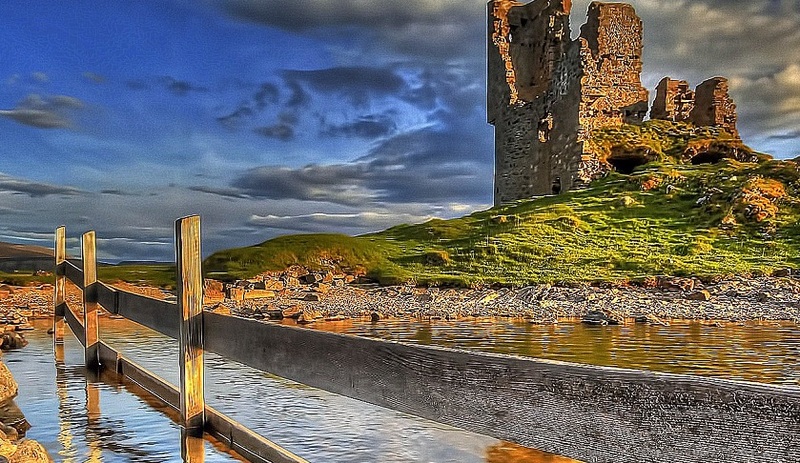 But whilst he ruled over the whole of Scotland north of the river Forth, large parts of the country were still in the hands of the Vikings in the north and Islands and in the south the Anglo-Saxons ruled. McAlpin was referred to as King of the Picts – a title conferred on him at his coronation on Moot Hill at Scone, Perthshire, in 843 AD. It was not until the reign of Donald II (889–900) that the monarch became known as the ri Alban (King of Alba). William the Lion (1165–1214) was not, as his name suggests, a strong and fearless king and he was NOT the Lionheart. He was on the throne longer than any other Scottish monarch, with the exception of James VI and I. He was captured by the English, his release only by signing the treaty of Falaise in December 1174. 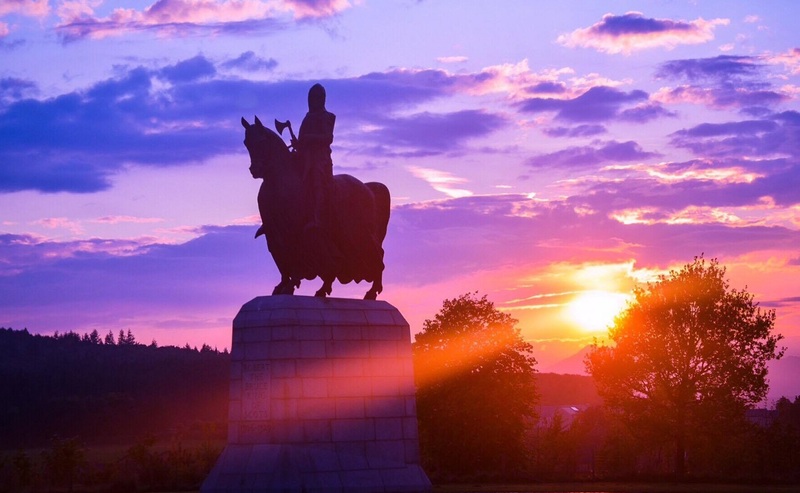 By the terms of the treaty he only ruled Scotland with the permission of the English crown, in 1209 he was again forced to pay homage to John I.
William Wallace was not the only patriotic leader of the resistance to the English occupation of Scotland. Equally important was his friend Andrew de Moray. In winter 1297 he escaped from an English prison and immediately began to organise the resistance in north Scotland against English rule. By the end of the year his forces were in control of Morayshire and had taken possession of the castles of the region, including Elgin and Inverness. He founded Glen Moray Distillery – no he didnee, only joking. De Moray’s success in the north was matched by Wallace’s in the south. After the defeat of the English at Stirling Bridge in September 1297 de Moray was mentioned along with Wallace in letters as ‘the leaders of the army and of the realm of Scotland’. The Scots never won a battle when they were favourites. At Flodden Field in 1513 the largest Scottish army ever assembled to invade England was annihilated by a much smaller English army that inflicted 10,000 causalities on the Scots in just two hours. Again at Solway Moss in 1542 a Scottish force of 15,000 men was defeated by 3,000 English soldiers – and 1,200 Scots were taken prisoner. The defeat was so demoralising that James V took to his bed and died of shame. 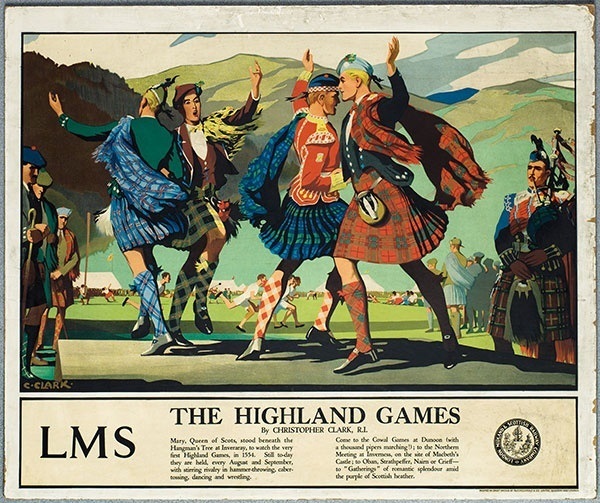 When the Scots were the underdogs they did best. At the battle of Stirling Bridge in 1297 a vastly outnumbered Scottish army inflicted a devastating defeat on the English. Just 17 years later at Bannockburn an English army three times that of the Scots was decimated by the forces of Robert the Bruce. In 1745 the rag tag army of the Young Pretender, Charles Edward Stuart, walked through Scotland and in to England as far as Derby where it inexplicably turned face and marched home with London within its grasp. Scotland has never been conquered – is nonsense: the Romans were frustrated in their attempts to conquer Caledonia and so resorted to building walls to keep the warring tribes from attacking them. Likewise Edward I, the hammer of the Scots, occupied large swathes of Scottish territory, but that only sparked a resistance that ended with the defeat of Edward II at Bannockburn in 1314. Cromwell’s New Model Army inflicted a crushing defeat on the Scots at Dunbar in 1650, and followed it up with another at Worcester a year later – 2,000 Scots were killed and more than 10,000 were taken prisoner, including almost all the Scottish leaders. 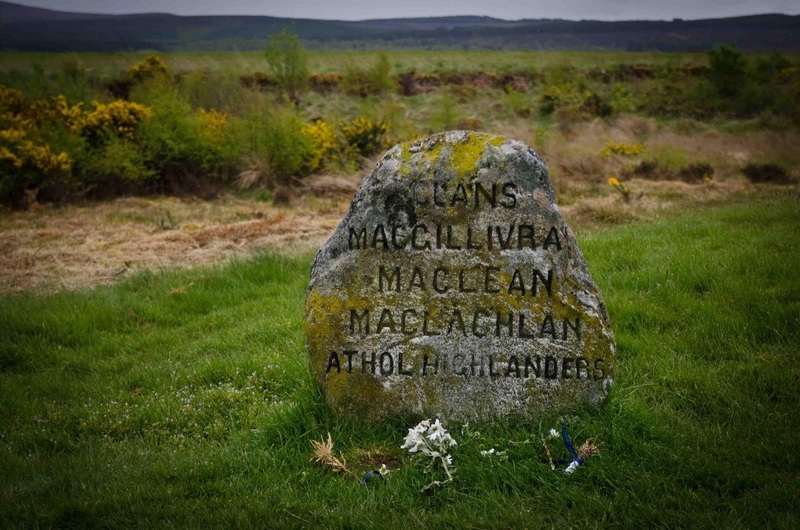 Flora MacDonald [famous for helping Bonnie Prince Charlie escape after the battle of Culloden, the final confrontation of the 1745 Jacobite Rising] died a Unionist and Hanoverian. After the rising collapsed following defeat at Culloden in 1746, Charles Stuart took refuge on the island of Benbecula in the Outer Hebrides. Dressed as Flora’s Irish maid, Betty Burke, Charles made his escape. She was arrested for her part in the escape and spent some time in the Tower of London but it was only temporary. Under the amnesty of 1747 she was released from captivity as a prisoner on parole and lived with Lady Primrose in London. 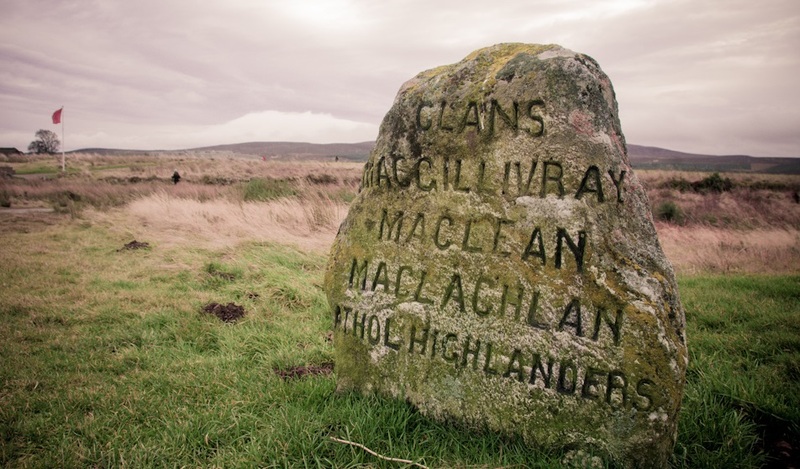 At the age of 28 Flora married Allan MacDonald of Kingsburgh and moved to the Isle of Skye. Difficult economic times saw the couple emigrate to North Carolina in 1774. When the American Wars of Independence broke out in 1776, her husband and five sons fought not on the side of the rebels but for George III’s royal British army! 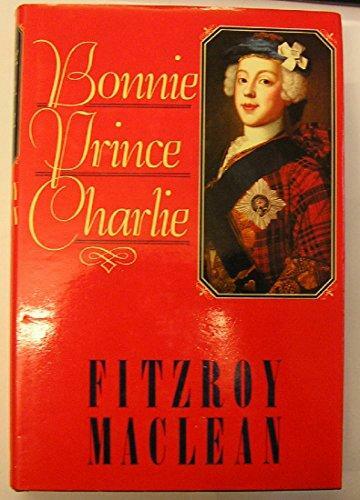 This gives some credence to MacDonald’s claim that she had helped Charles Stuart out of compassion rather than politics. Her husband was taken prisoner and she left for Scotland. He joined her two years later and the family took up residence on Skye once more where she died in 1790. Sectarianism was not just a west coast phenomenon. Most people would identify Catholic and Protestant rivalry with Glasgow (more importantly Northern Ireland). But the bitterest conflicts in the 20th century took place not in Glasgow, but in middle-class Edinburgh in the 1930s. Led by rabble-rouser John Cormack, leader of the Protestant Action Society, Catholics faced harassment and violence. Employers were pressurised into sacking Catholic employees, priests were spat on in the streets, and Sunday congregations were subject to verbal and physical assault. The riot of 1935, when Cormack led a mob of 20,000 Protestants baying for blood against the Eucharist Congress that was taking place at the Catholic priory in Morningside. Outside of Canada, the central belt of Scotland was the highest recipient of American inward investment anywhere in the world between 1945 and 1970. This little strip of land in the middle of Scotland saw the influx of giant American corporations such as IBM, Timex, National Cash Registers, Caterpillar and many more besides. Why did they come? For three good reasons: firstly, it opened up British and European markets; secondly, there existed a highly skilled and educated pool of workers earning historically relatively low wages; and, thirdly, there were no linguistic barriers, as English was the common tongue.